"Part of the reason I'm so thrilled to be able to support ABBA is because of the role they play in bringing together Christians to address the needs of our community, and they do that in a way that increases the reach as well as the impact of believers. ABBA transcends church congregations, they bypass the divisions of church and business and government, and they serve to unify the body of Christ to advance the kingdom of God in Austin. That's unique. That's exciting! I'm privileged to be able to support them." 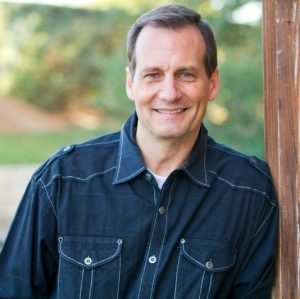 "As a Christian businessman in Austin, I am deeply grateful for the critical role ABBA plays in bridging key sectors of our community--business, education, government, nonprofit, foundations--to collaborate for the greater good." "Having worked in the corporate sector for 14 years, and now working on church staff as a pastor for the last 5 years, I have had a unique opportunity to see the intricacies within both these wo rlds. These two sectors see great value in working together, but, for various reasons, effective collaboration is very difficult to achieve. In steps in ABBA! I have seen ABBA take a key leadership role in facilitating tremendous teamwork between the Church and the business sector. I have personally seen ABBA bridge the gap on six separate initiatives within just this last year. They play an essential role in reaching the city of Austin in a unique and previously unattainable way, and I look forward to seeing how God will continue to use ABBA in the months and years to come." "ABBA really is that bridge that ministries, businesses, and churches need to multiply our efforts. We are grateful for the relationships we have formed across Austin through ABBA." "Austin is a better city because of ABBA. ABBA builds bridges between nonprofits, the church, and the business community; between pastors, civic, and spiritual leaders; and, most importantly, between lost people and the Savior who seeks them. ABBA is a strategic partner in helping make sure that every man, woman, and chil d in greater Austin has repeated opportunities to know Jesus." "Unity in the body does not just happen. In fact, left to our natural human frailties the Body becomes rife with disunity - a direct contravention of His design. ABBA was birthed by God to be one of His instruments to bring peace and completion and unity to the Body. A tool to remove barriers between north and south, east and west, those with enough and those without enough, male and female, black and white, brown and black, young and old, and traditional ministries and non-traditional ministries. ABBA works to help pastors and ministries do what they were purposed to do and that with more effectiveness and efficiency. So, in a ddition to connecting parts of the Body to other parts of the Body, ABBA connects resources in the Body to needs in the city. ABBA is in the city for the city."